Are certain sewer pipes in your community neglected due to hard to reach manholes? 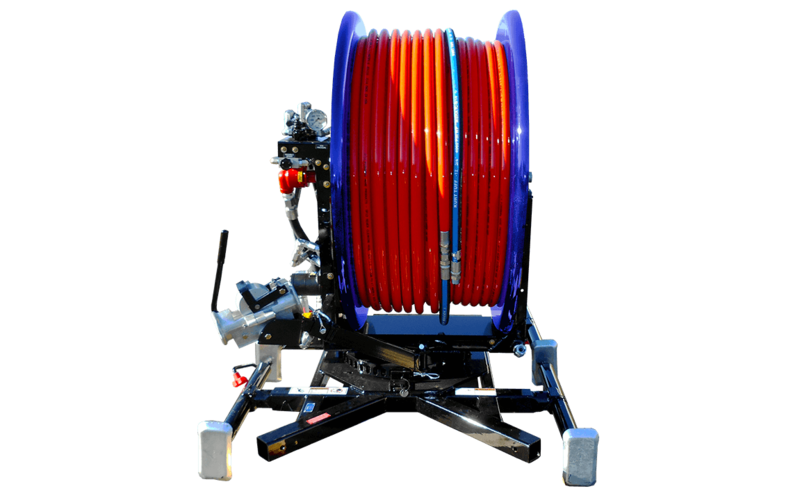 Do your maintenance crews have to manually drag hose across easements or cause damage to yard, golf courses or environmentally sensitive areas when trying to service these remote lines? 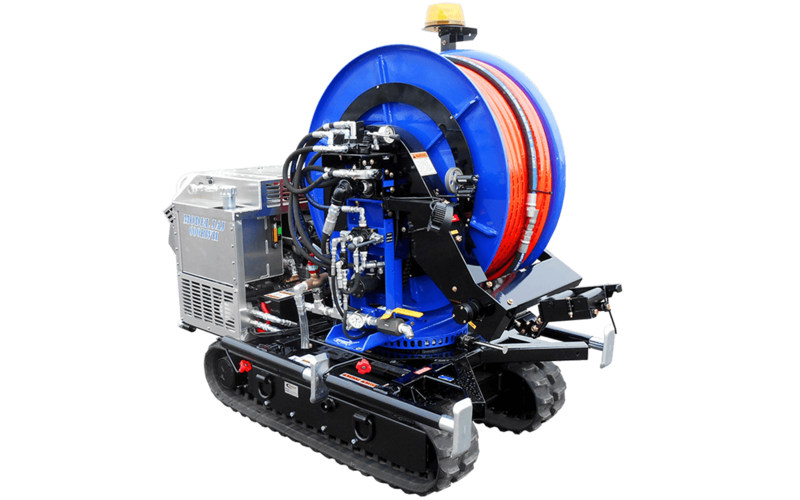 If so, the Sewer Equipment CO. of America easement machine will be an invaluable asset to your fleet, as it extends the reach of your sewer jetting truck by 500 feet or more and reduce sewer overflows by easing maintenance tasks. 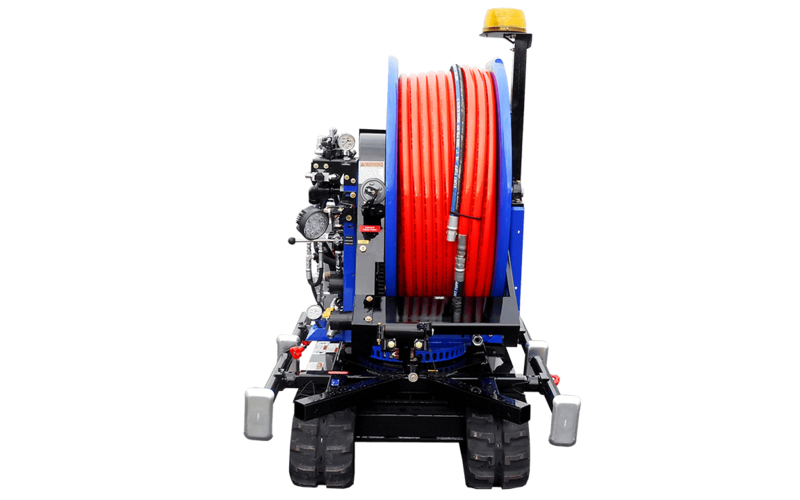 The JAJ-600WH model is driven by Honda V-twin engines on hydrostatically powered tread drive platforms, eliminating drive chains and sprockets, providing clean and quiet operation. The rubber tracks distribute weight evenly and limit ground pressure to only four pounds per square inch; the same standard applied to golf course maintenance equipment. 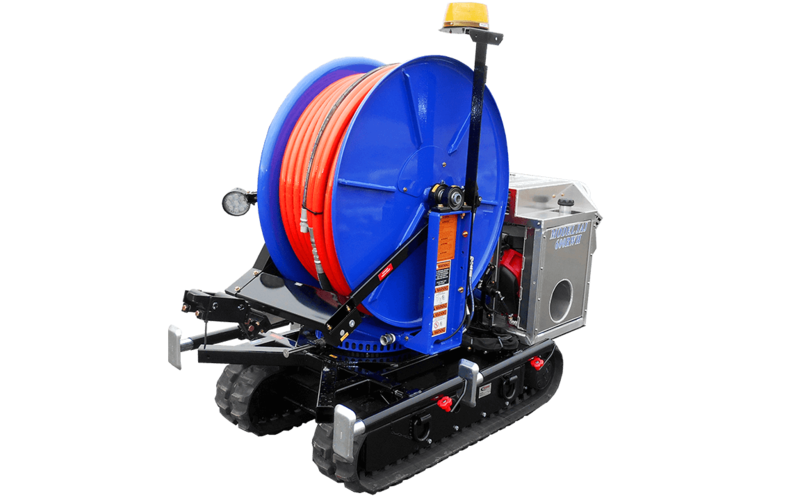 The JAJ-600WH has the ability to fit through standard 36” gates while offering superior lateral stability off-road with tracks that hydraulically extend from 34” to 46” in seconds. 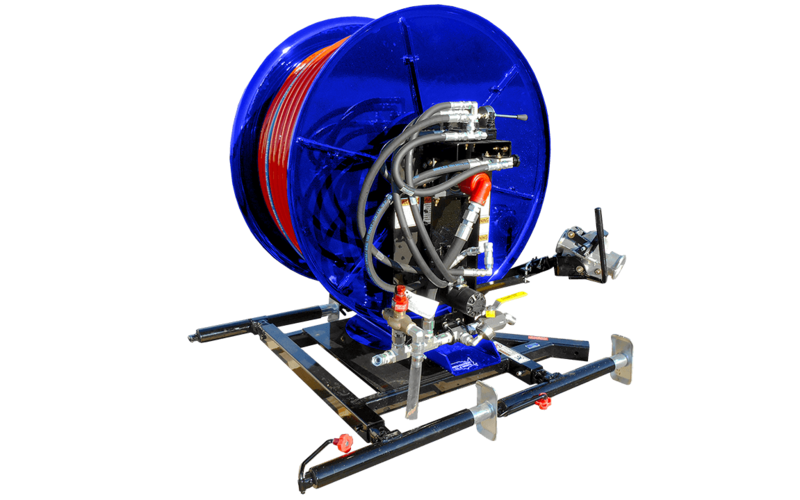 Standard features include skid steering with dual joystick controls, safety pressure relief valve, 180 degree rotating safety hose reel and a 5 GPM/10 GPM hydraulic tool circuit for powering bypass pumps and hydraulic saws. 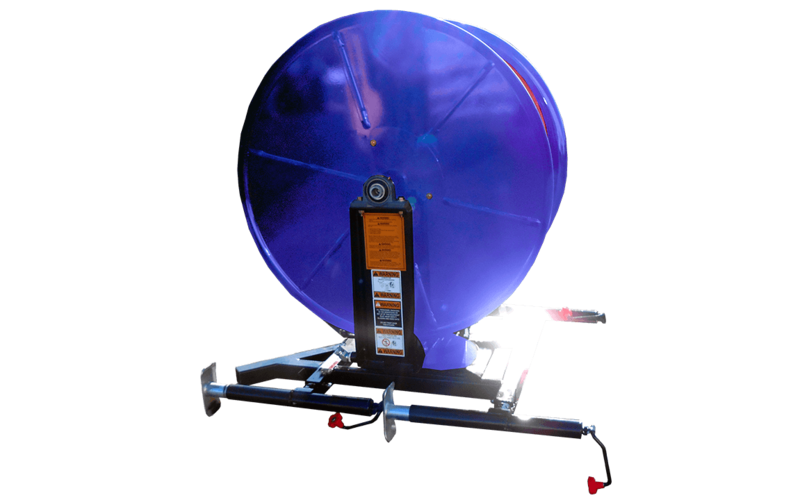 Available options include automatic level wind with hydraulic up/down action, safety lights, work lights, tandem transport trailer and more. 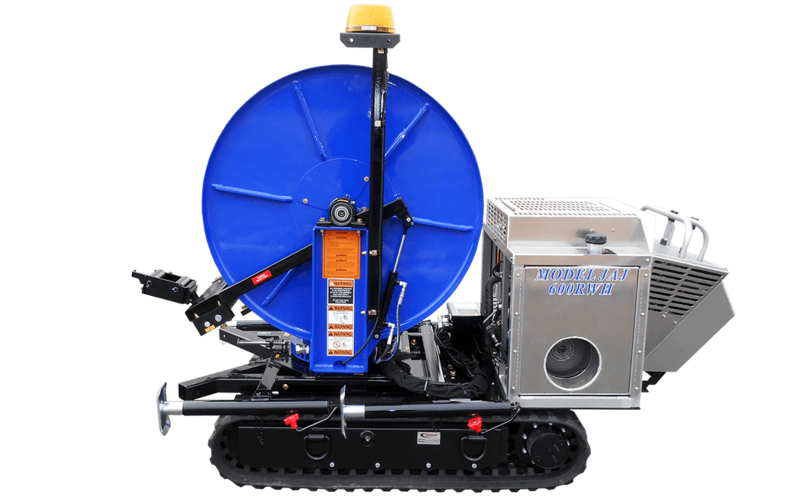 With great features such as a 180 degree rotating safety hose reel, safety pressure relief valve and a 5 GPM/10 GPM hydraulic tool circuit for powering bypass pumps and hydraulic saws, the JAJ-600SK is mounted on a skid to be used with your existing skid steer tractor equipped with a fork attachment. 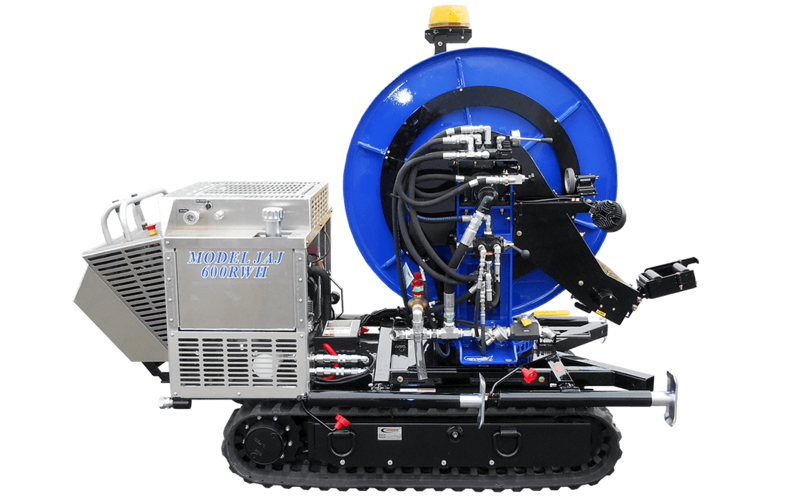 Available options for increased efficiency include automatic level wind, with hydraulic up/down action, safety lights, work lights, tandem transport trailer and more.